This article focuses on 10 Steps For Creating a Mixed-Use Automatically Project using cove.tool . 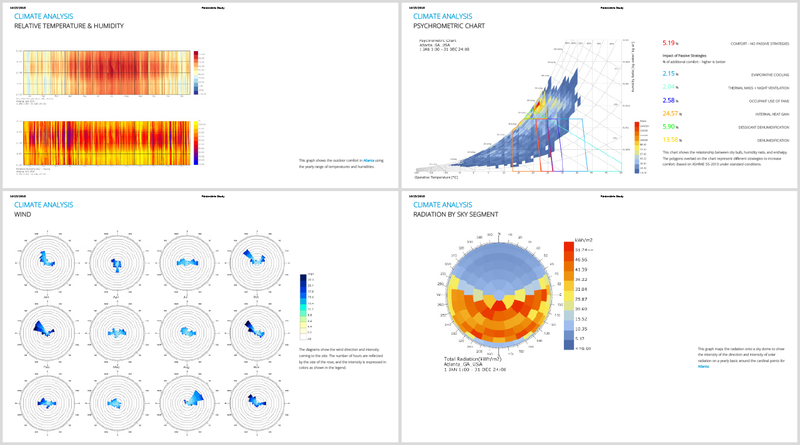 Users can now build multi-use energy models in our cove.tool interface. The web app experience hasn’t changed, we’ve just added the option to begin a project with multiple building types, and added panels on the left side screen to maneuver between building components and their corresponding inputs. Using a Floating License, Login to cove.tool and start a new project. Pick from the role categories to shape the automation of cove.tool to fit your expertise. Enter your building information and our tool automates the inputs from the proper code sections. 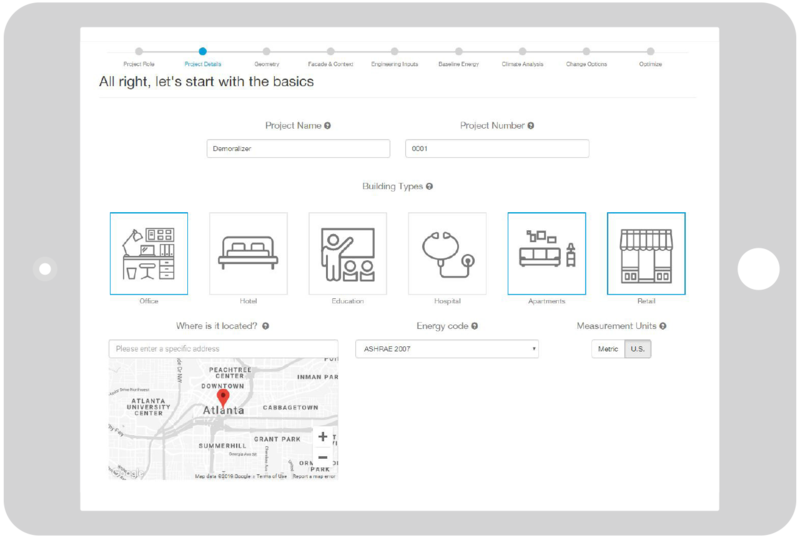 Using a Revit or Rhino/ Grasshopper Plug-in, export your building geometry into our web-app interface. No model prep required and manual inputs are possible. Include overhangs, fins, and context information. Maneuver between building type panels to get the correct settings with the correct building type. Review the buildings baseline energy report. Answer questions like, What is my EUI? What should be my target? What are my most inefficient features? Create reports and download crucial diagrams that will dazzle your team and clients. 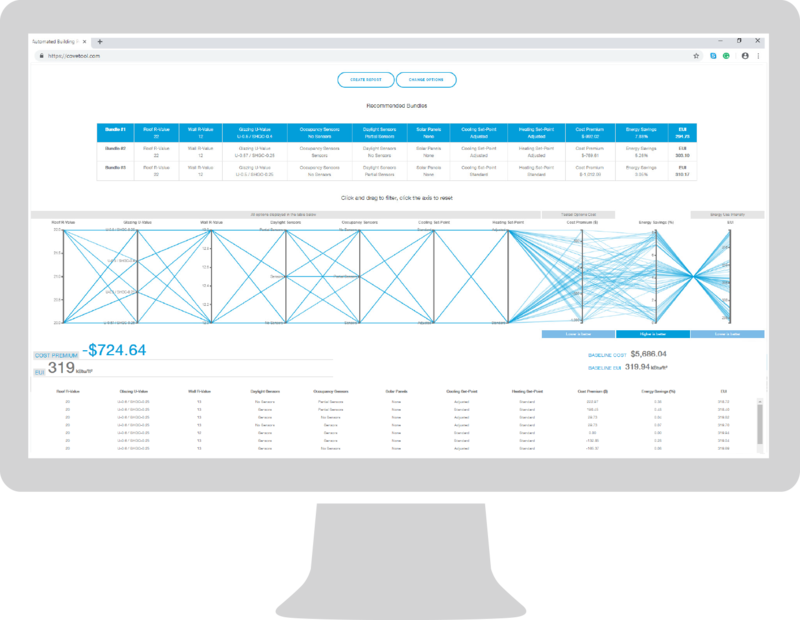 These results are parametrically automated and completed in seconds. 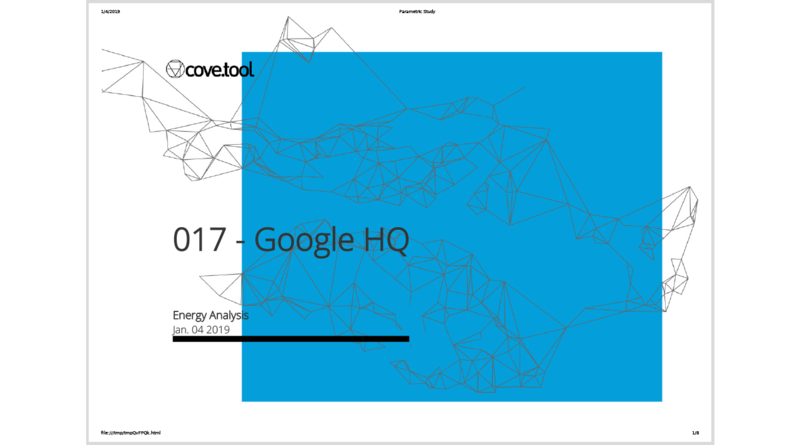 Invite engineers to explore your cove.tool energy model. They can continue to customize the optimization categories and help validate our results. 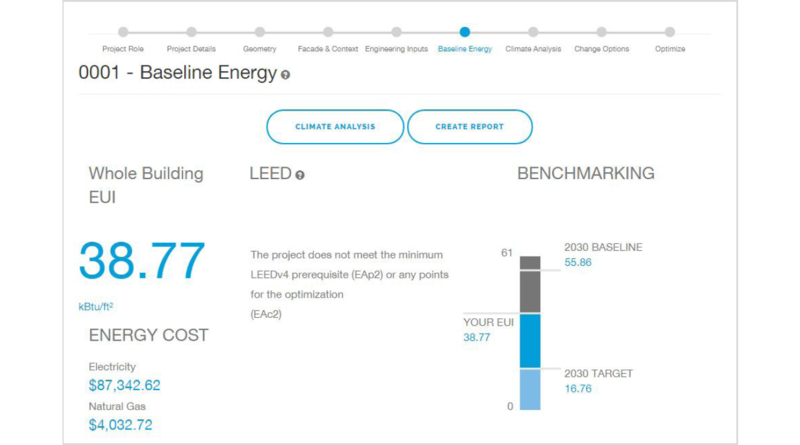 We made a scoring system where cost is a realistic way to compare building performance. 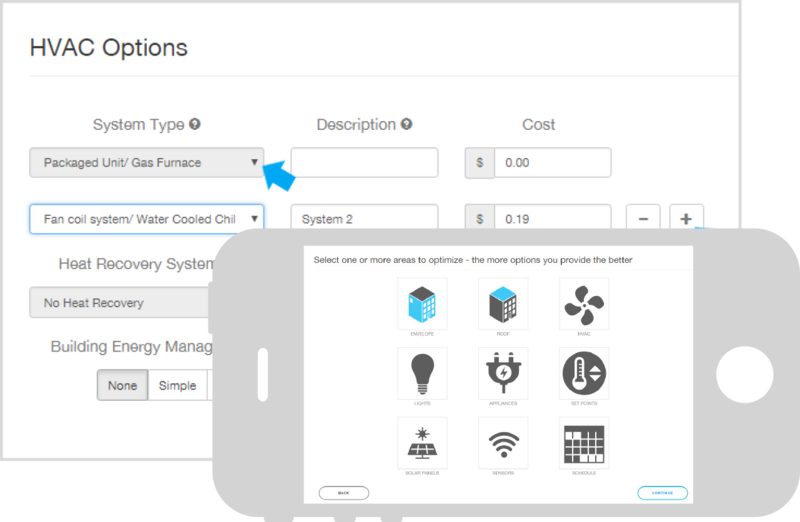 Our costs are automated, but can be adjusted to best represent specific materials & systems. 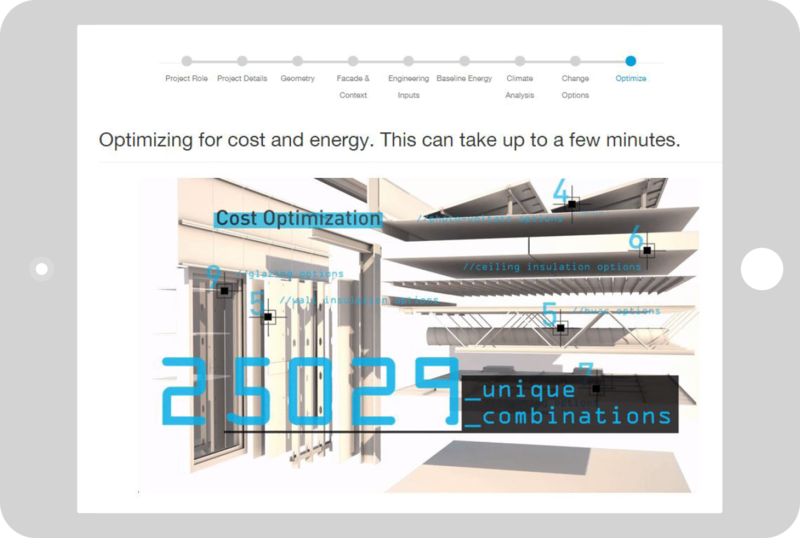 The final cost vs energy optimization graph creates every possible bundle for your project and ranks them. You can continue to see side by side comparisons as you adjust inputs and priorities. 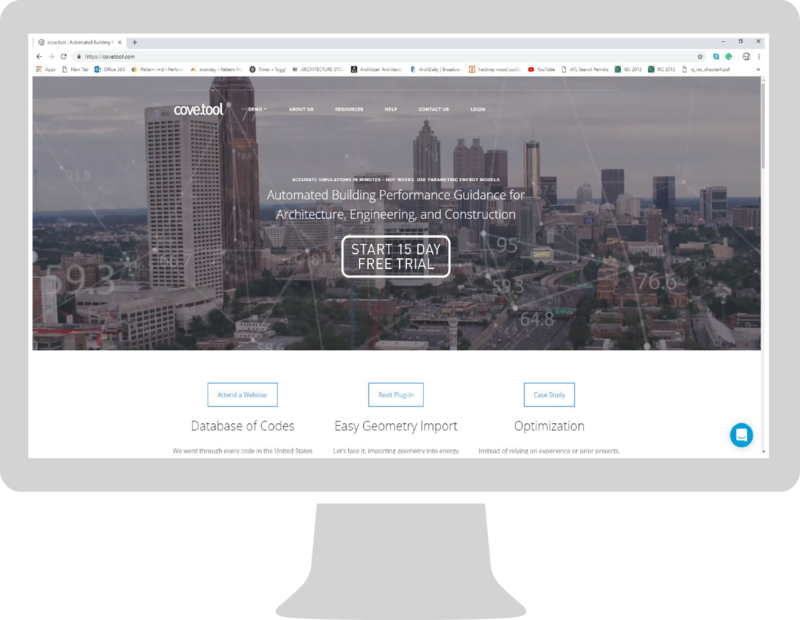 Cove.tool allows you to go back and forth, so as your project grows our web-app interface has the flexibility to meet the latest demands and get you the results you need as soon as possible!